Here at Original Medical Equipment Company pvt.ltd as a hospital supplies manufacturer and exporters we also deal in various laboratory products. 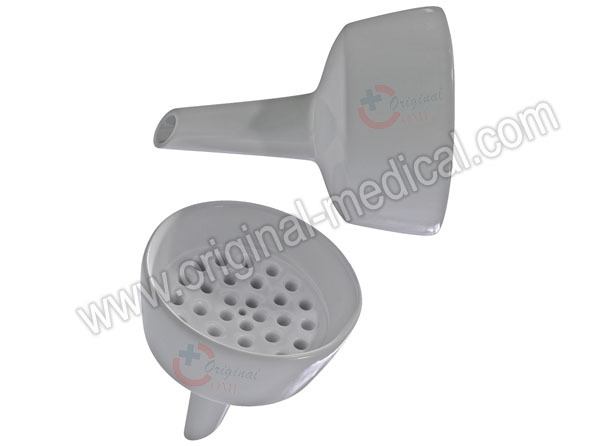 Polypropylene Plastic Buchner Funnels which is used to filtration process in a lab also listed in our laboratory equipments. This tools mostly used in Chemistry Labs of Schools, Collage, Research Centers, Institutes and many other scientific fields. Normally Buchner Flask made of porcelain, but now glass and plastic funnels are also available and going to use various labs. If you are looking for laboratory equipment its right place here. We have all best sizes according to your needs some are like(3ml, 35ml, 60ml, 100ml, 325ml, 575ml, 850ml, 1950ml, 4lt., 5.2lt., 13lt. etc.) of this products. Also contact us for other hospital products and laboratory equipments.